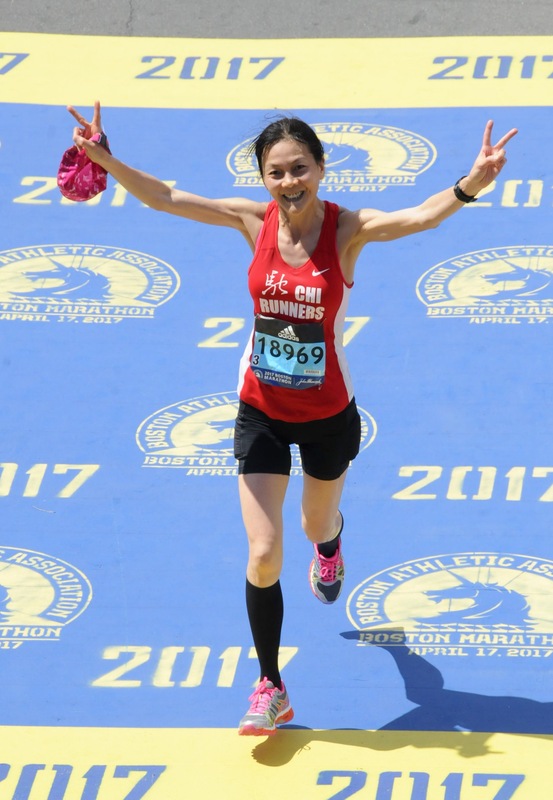 Last year, 896 Illinoisan runners represented at the 2018 Boston Marathon, so this year, we wanted to talk to a few of them heading out there in 2019. 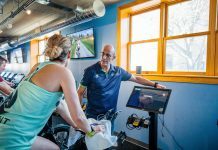 Each week, we’ll highlight a new athlete; from first timers to veterans, learn about their goals and training plans, and cheer for them on April 15! How did your running career begin? I never had to exercise to lose weight or had any health issue, but due to personal life changes, I decided to start take care of myself, mentally and physically. In January 2013, I started running two 0.1 mile loops running at the YMCA indoor track; once I hit the 60 loops, I couldn’t keep track, and I started running outside. The more I ran, the more I liked it. In 2014 I signed up for the Chicago Marathon through Alzheimer Stars, but I never finished my training due to a stress fracture. I was determined to finish the marathon for those people donated money for me, so my doctor told me to take eight weeks off from running so I could finish the marathon, and I ran/walked through the course. Tell us about your journey qualifying for Boston. I had never heard of the Boston Marathon until I finished my first 20-mile training run in September 2015 for that year’s Chicago Marathon, which I ran in 3:05. My friend told me that was a BQ, but I didn’t know what that was. So, on marathon day, I stood in the corral by myself; I didn’t even know that there were pacers in the race, and I had no gels or anything special. I just ran like what I did for my first 20 mile training run, and at the 20-mile marker, I was under just three hours. I was tired, but I kept going to keep the pace under 10 minutes. My official time was 3:55, and I got a BQ on accident. Since that 2015 Chicago Marathon, I have run many marathons, and have achieved a BQ time in each one. Honestly, I don’t follow a training plan closely. My friend suggested I pick a plan from Hal Higdon’s website, and I picked marathon three, because I only have to run three times a week. I don’t really do speed work or tempo runs, just one 20 miler. 4. What are your goals for the 2019 race? In 2019, I don’t want to keep chasing PR; it will ruin my joy for running. I want continue to give back to the running community and inspire other people to enjoy running by pacing and volunteering for races, and helping other to train for their marathons.